Drug addiction and abuse is a problem that has been plaguing the society since the start of mankind. It is human nature to desire and consume things that make them feel happy, stimulated, relaxed or euphoric. In fact, the start of farming in 6000 B.C. and the discovery of fermentation was closely followed by the production of alcohol and cultivation of herbs, roots and mushrooms. These herbs, mushrooms and fungi were used to alleviate pains, aches and other ailments and few of these preparations were found to produce feelings of euphoria and trance-like states. And they were then used for religious rites in order to gain insights or see visions to dull the pains of ritual mutilation. However, by today’s standard the herbal use in past history was no harmful and it only became dangerous when man learned to increase the potency as well as effects of these substances. Biology – Genetic factors sometimes play an important role in causing addiction. 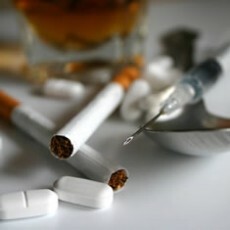 Some people are prone to be more vulnerable to addiction or they may have family history of drug addiction and abuse. Environment – The environment of a person like – family and friends, socioeconomic status and quality of life may work as influencing factors for an addiction to develop. Moreover, peer pressure, family issues, stress and physical and sexual abuse can also play key roles in pushing a person to addiction. Development – Addiction can develop at any age. But surveys prove that if a person is exposed to drugs at a young age the more likely he is to progress to more serious abuse.